Joe Perry has today claimed the second title of his career at an event carrying ranking points, following a 4-1 victory against Thepchaiya Un-Nooh. Having made it to the semi-finals over the course of the tournament’s first three days, Joe first saw off Tom Ford in a deciding frame, breaks of 82 and 61 from 3-2 down enough to see the world number 13 into the final. There he would face Thepchaya Un-Nooh, the Thai player through to his first professional final with a 4-1 victory against two-time world champion Mark Williams. The first two frames were split, each player recording a break of 60, before Perry added runs of 51 and 93 in taking the next three to secure the title and with it, the £10,000 top prize. But although the Asian Order of Merit has now been finalised, there is still the potential for the above eight qualifiers from the list to change, if any of them are able to finish higher on the final European Order of Merit after the conclusion of the ET6 event in Gdynia, than they have above. For example if Ryan Day were to finish 6th or above on the European list, he would instead qualify through that Order of Merit and open up an extra spot on the Asian list. 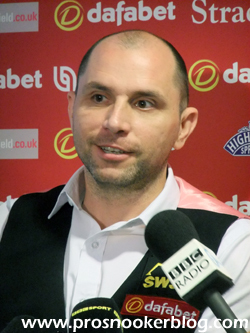 At the time of writing, both Mark Williams and Matt Selt occupy the next two places, but with both currently inside the top 24 on the European list, the next man would could take advantage of any events in Gdynia would be China’s Tian Pengfei, who holds 11th place with £2,700. Again, the situation may yet change depending upon what happens on the main two-year ranking list between now and the end of the season, for example if higher ranked players on the Asian list such as Thepchaiya Un-Nooh, Cao Yupeng or Alfie Burden were to drop out of the top 64. A few people have asked as to the situation with Sean O’Sullivan, as he is currently set to earn a tour card through both the Asian and European lists. Which list would he take his place from? This situation actually arose last season with Scott Donaldson, when it was decided that he would take his place from the European list, as that event finished first chronologically. Assuming that the same logic is to apply this season, then it is the Asian Tour which will take priority this time around, as that series has concluded prior to the European Tour in 2015, with the Gdynia Open still to be played. Nice analysis, especially the clarification about the tour spots. I think your hypothesis and the comparison to Donaldson sound reasonable, so this will probably be the answer to the questions. What I don’t understand though is the part about the Finals spot for Tian Pengfei. Assuming someone in the AOoM top 8 reaches a higher place in the EOoM (which, I think, requires a Gdynia win for Holt or Day or Robertson reaching the final), then MJW will be probably ranked higher on the AOoM than on the EOoM (needs to make it to the Gdynia final himself to reverse his rankings). So he should get the Asian place ahead of Tian, shouldn’t he? I hadn’t seen your comment when I stared writing mine (above yours) – we’ve both said essentially the same thing, except that your ‘probably’ re MJW can be changed to ‘certainly’ due to the four being in the same half of the draw. Yeah, I didn’t really care to look at the draw. Well done 😉 So my other scenario, Robertson losing to Day or Holt in the final and giving places to both MJW and Tian, is not only unrealistic, but also impossible… A shame, I would have loved this crazy situation to happen. None of the top 5 in the Grand Finals race can do as well in the European order of merit as they have done in Asia, even if they were to win ET6. If one of the other three were to win ET6 and qualify through the European OoM, Mark Williams would finish lower than 9th in Europe, since all four are in the bottom half of the Gdynia draw (so if one of the three were to win he could get at most £5000 and he is just over £5000 behind the current 9th position). 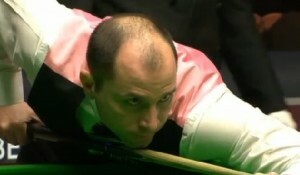 Hence Williams would qualify as 9th on the Asian OoM and the extra place would go to the European OoM. Very good, I hadn’t got as far as studying the Gdynia draw yet! I’d overlooked one small point: as Arne suggests, Robertson might get into the top 8 as ET6 runner-up (depending on who else reaches the last 4), but that doesn’t affect the rest of the analysis since his doing so would prevent any of the others from reaching the final.